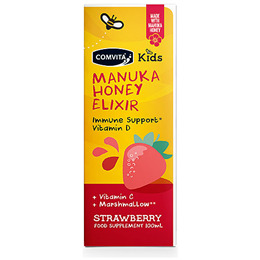 Contains Manuka Honey, Thyme and Rewarewa Honeys. Great tasting natural strawberry flavour. Children 3+ years: Take 10ml (2 teaspoons) 3 times daily up to 30ml. Not to be given to children under 3 years of age. Do not exceed recommended daily intake. Shake well before use. To retain the integrity of this product please store below 30 Degrees Celsius. The honey in this bottle may naturally crystallise. 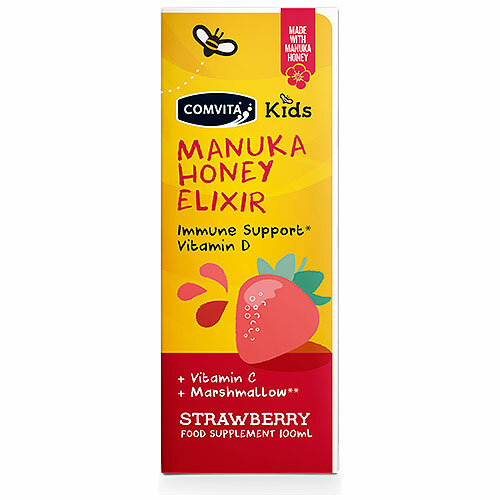 Below are reviews of Comvita Manuka Honey Elixir Kids - 100ml by bodykind customers. If you have tried this product we'd love to hear what you think so please leave a review.